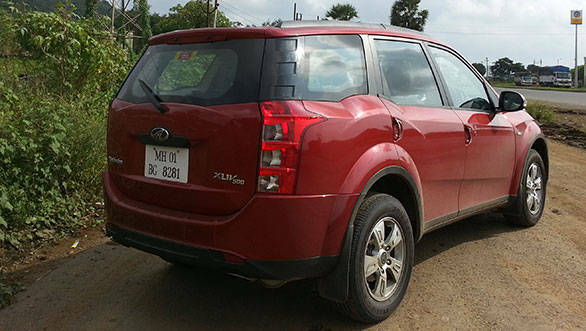 The Mahindra XUV500 had a lot going for it when it was introduced two years ago. It had in-your-face styling (which Indian SUV buyers love), it sat seven, and it brimmed with features unseen in the sub-20 lakh SUV class. It was also priced very well, and was, in fact, Mahindra's most sorted utility vehicle, period. Be it handling, braking or quality, the XUV upped the game for its maker. Actually, it still isn't. But, Mahindra says it has ironed out quite a few shortcomings on the XUV in this updated model to make it worthy of its price tag, which for the W8 model reviewed here stands at Rs 13.5 lakh ex-showroom in Delhi. So, what's changed? Quite a few bits actually. The suspension for starters gets new bushes and revised damping rates. These changes are supposed to help improve both ride and handling. On the ride front, the XUV does ride well at slower speeds. There's a hint of vibration that seeps into the cabin, but overall the ride is quiet and quite unobtrusive. It's only when going over deep, sharp potholes that the suspension tends to bottom out sending in a sharp shock to the occupants. Handling wise, the XUV still has some ground to cover. It feels loose, less sure and a tad mute when subjected to hard driving on curvy roads. The steering (which too has been revised, but more on that a little later) isn't the most communicative. Also, instead of shrinking around you like good handling cars do, one can feel the size and weight of the XUV when it is pushed hard around bends. It rolls and pitches; the tyres squeal more than they grip; and one is never really sure whether the XUV will wash wide or oversteer around an undulating corner. 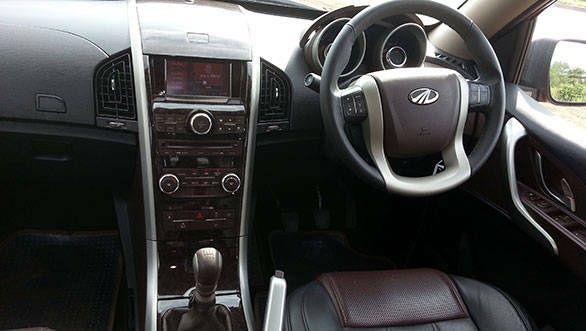 Dial back the speed some 10-15kmph, and the XUV feels much better on a hilly road. The body roll is still very much there, but, the tyre grip becomes a non issue. Also, the XUV feels surer at turn-in, and the guesswork with respect to its balance, becomes more predictable. It's still one of those SUVs which would rather cruise than dart from corner to corner, even though it's a monocoque. Braking though has improved significantly, and that does give one the confidence to drive it harder than before. Mahindra has upgraded the brake pads, and has worked on the brake booster as well as the ABS system for better bite, progression and feel. And, the benefit of these changes is immediately evident. The brakes on the XUV can be modulated much better now thanks to the improved feel. One can also get late and hard on the brakes, thanks to better stopping power. As for the ABS, it still doesn't feel as refined and sorted as most European cars; it still is jerkier than it should be. And lest we forget, we think the XUV still hasn't found its ideal tyre match. Now to the steering. Mechanically, nothing has changed. The only difference is the type of grease being used for the front drive shaft. 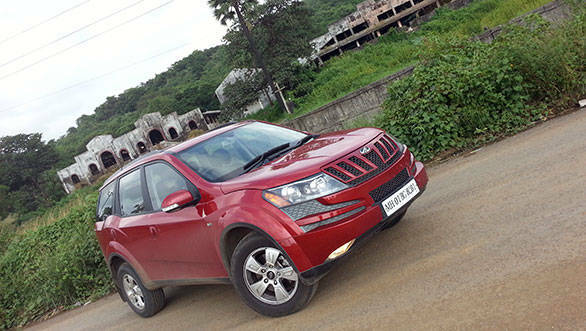 Mahindra says, it now uses a premium grease. To us, the imported grease has done little to improve the feel, but the steering is lighter to operate, which when driving in the city is a boon. We also like the relatively light clutch operation. We drove the XUV in stop-and-go traffic for over an hour, but we still managed to walk home from the parking lot without an aching calf. In other improvements, the infotainment system has been upgraded, specifically the maps and the Bluetooth system called Blusense. The latter, for some reason, is more complicated than before. Meanwhile, if you were hoping for changes in the drivetrain, well, there aren't any. Not that the XUV's engine needed any changes; it is torquey, relatively quiet and not very thirsty. But yes, the shift quality of the 6-speed gearbox could have been improved; it's notchy and not the most precise. The shift quality notwithstanding, the XUV500 is now a better vehicle than it was. 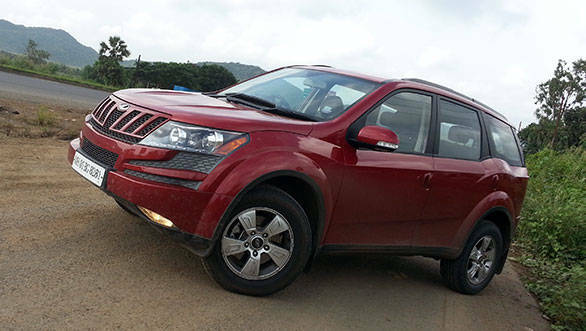 Mahindra has worked on a number of shortcomings of the SUV, which to us, is a great sign. However, as we see it, this shouldn't be the end but the beginning, for the XUV can be a great product; it just needs some more improvements and attention.